Donald Trump is an embarrassment. He’s been serving a purpose, in a perverse way, but now it’s time for him to exit stage left and serve a purpose in a different way. Trump’s recent comments about John McCain are inexcusable. Obviously, it’s perfectly acceptable for anyone to disagree with Senator McCain about immigration. It’s not an easy issue, and it covers a lot of different big picture items, from employment to trade to national security against potential terrorist incursions. In America, there is room for many different positions along the political spectrum about immigration. It isn’t appropriate, however, to question McCain’s patriotism, or his service, or to casually dismiss the meaning and impact of McCain’s POW experience. It not only is unfair to the man who was tortured and forced to live as a captive in a North Vietnam prison, it also shows an appalling lack of respect for all of those who have served in our armed forces and put their lives and personal security on the line. The reality of war is that some members of the military may get captured by the enemy, through no fault of their own. When that happens, those members of the military deserve our support, and when they bear up through their POW experience with the courage and dignity and fortitude shown by John McCain, they deserve to be called heroes. This is not a hard question — but apparently it is beyond Donald Trump. Trump’s entry into the presidential race has been serving a purpose, in a perverse way — he’s been demonstrating by omission the qualities we should be looking for in a President. Do we want someone who responds to every criticism by lashing out with anger and insult humor, or do we want someone who is thick-skinned and capable of responding with grace and intelligence? Do we want a boastful schoolyard bully who never tires of touting his own wealth and accomplishments, or do we want a mature adult who has the skills to build a consensus around a reasoned position? Do we want someone so self-absorbed that he’ll say whatever is necessary to grab another headline, or do we want someone with the self-assurance to work behind the scenes in order to get the job done? In many ways, Donald Trump exemplifies all of the qualities of the anti-President; standing next to him, virtually any candidate would look like a thoughtful statesman. As a society, we tend to tolerate people like Trump. He’s like a contestant on The Gong Show whose act is so bizarre that it briefly entertains through shock value — but quickly becomes tiresome and uncomfortable. 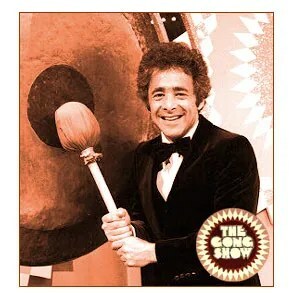 With his comments on John McCain, Trump has crossed into gong territory. I’m glad to see that there seems to be a growing, uniform sentiment that Trump’s comments about Senator McCain are inexcusable. Trump may be serving a purpose in another way: by showing that, in our divided country, it is still possible to develop a true consensus about something. I can’t help but reach the conclusion that the Syrian situation has been badly handled by the White House and the State Department. From the President’s early comments that purported to draw a “red line” if the Syrian government used chemical weapons, to the announcements that the U.S. would be involved in an imminent strike after claiming to have incontrovertible evidence of Syria’s use of gas against its own people, to Great Britain’s embarrassing refusal to become involved in any action, and finally to President Obama’s abrupt decision to seek Congressional approval for some kind of action against Syria, the Obama Administration seems to be making it up as it goes along. The President now needs to resort to what the New York Times describes as “the most extraordinary lobbying campaign of Mr. Obama’s presidency” to try to convince lawmakers to support the Administration’s plans and avoid a humiliating loss in Congress that would further undermine the President’s credibility abroad. In the meantime, even the President’s supporters think his performance has been “embarrassing” and the Syrians feel like the President’s decision to reverse course is a victory of sorts. This blundering means that the problem goes beyond Syria and its use of chemical weapons to raise much broader issues. President Obama often seems to think that his rhetorical powers are so extraordinary that if he just gives a speech, everything will change — but that’s not how things work in the world. He should never have drawn the “red line” without knowing that he would be supported, in Congress and in the world at large, in taking action if Syria crossed it. Obviously, he didn’t do so. Now, his credibility, and the credibility of the United States as a whole, is at stake. Thanks to those mistakes, we’ll never have the ability as a country to have a free discussion about whether to intervene in Syria or, as Secretary of State John Kerry puts it, engage in “armchair isolationism,” because the congressional debate will be colored by comments, like those of Senator John McCain, that the failure to back the President’s hasty words with action could be “catastrophic.” Such comments recognize that the Syrian chemical weapons issue, tragic as it is for the Syrian people, is a small blip on America’s geopolitical screen. The much bigger and more important issues are what might happen if China or Russia — or Iran or North Korea — feel that the President’s words mean nothing. Once he loses credibility with our adversaries it will never be fully regained. I happen to think we shouldn’t intervene in Syria, and I don’t care whether a blowhard like John Kerry calls me an “armchair isolationist” or not. As a country, America needs to address this issue and decide what our role in the world will be and make some hard choices about our vital interests in view of our finite economic resources. Now we may be cornered and forced into taking ill-advised, poorly defined action in a country where our national interests really aren’t implicated because the President didn’t think before he talked. Indeed, Kerry’s remarks yesterday suggest that the Obama Administration wants to leave open the option of sending our ground troops into Syria — which seems like an extraordinarily bad idea in just about every way. These are an amateur’s unfortunate mistakes, but mistakes that could have real, painful consequences for our country nevertheless. Mr. President, Please Don’t Shoot Yourself In The Foot! Can President Obama actually be considering nominating Susan Rice, the U.S. Ambassador to the United Nations, to replace Hillary Clinton as Secretary of State? Some are reporting that Rice is his choice, and at a press conference yesterday he forcefully defended her against criticism by John McCain and other Senators. The President said Rice has done “exemplary” work at the UN and that if he decides she would be the best choice, he will go ahead and nominate her. It seems inconceivable that Rice would be on the President’s short list for the most visible position in the Cabinet. For many Americans, she is the face and voice of what they consider to be an unconscionable attempt to mislead and cover up the truth about the death of Ambassador Chris Stevens and three other Americans at the consulate in Benghazi, Libya. When Rice went on the Sunday talk shows and attempted to blame the Benghazi attacks on a YouTube video, she was presenting a false narrative that, increasingly, has been shown to be at odds with the facts known to many in the Administration — that the Benghazi incident was a planned and carefully executed terrorist attack, not a a spontaneous mob reaction to an incendiary video. As a result, many angry Americans view Rice as either a know-nothing shill who was out of the loop but faithfully presented the phony talking points given to her or a knowing participant in an effort to deceive the American people. Either way, she has little credibility with them. If the President nominates Rice, he will be guaranteeing a bruising confirmation fight and extended hearings into what Rice and others knew about the attack. Why run that risk? Rice may be capable — although I’m not sure what has been “exemplary” about her service at the UN — but there undoubtedly are hundreds of people who also could capably serve as Secretary of State. Can’t the President pick someone who won’t serve as a lightning rod for criticism about an ugly, poorly handled foreign policy disaster that involved the death of four Americans? I cringed when I read the President’s statement that “[i]f Sen. McCain and Sen. Graham and others want to go after somebody, they should go after me.” We don’t need silly macho posturing right now. When the President won re-election, people wondered whether he would be more of a compromiser in his second term, or whether — freed from the need to ever again stand for election — he would demand that things be done his way, no matter what the opposition. If the President insists on nominating Rice, he will be indicating that he is following the latter course, which in turn will just harden the opposition and make compromises less likely. If the President shoots himself in the foot by sending Rice’s name to the Senate, we may be in for more long years of bickering, gridlock, and inability to tackle our debt, deficit, and entitlement problems. We can’t afford that possibility — and the President can’t either. We’re now less than seven months away from the 2012 presidential election. What does the race look like, from the perspective of battleground Ohio? I think the 2012 election will be much less emotion-charged than 2008 was. In 2008 many hoped that Barack Obama would be a transformative figure whose election would finally slay the dragons of racism in America. Many others were panicked by the financial abyss yawning open beneath our feet and were looking for the candidate they felt was best suited to deal with the crisis. Barring unforeseen events, neither of those emotional themes will be at work in 2012. President Obama still has many supporters, but I don’t know anyone who views him as a kind of magical arbiter capable of bringing people together through sheer force of oratory and personality. His time in office has demonstrated, to all but the true believers, that the President is a politician who makes the same kinds of political calculations that other politicians do. The hopes for a miraculous national reconciliation and a perfect leader that motivated many people in 2008 just don’t seem to exist now. Nor does the terror that gripped some people in 2008. Worries about a complete financial meltdown cut both ways in that election; some voted for Barack Obama because he seemed to deal with the crisis without drama, others voted for John McCain because he was more experienced. Now, I think, people are not panicky, but rather are concerned and angry — concerned because, years later, the economy still stinks and jobs remain hard to come by, and angry because our political leaders don’t seem to be doing anything much about it. What does this mean? First, I think fewer people will be deeply involved in the election and a smaller percentage of people will vote. No one will be arguing that the election offers a chance to vote for a perfect candidate. Second, I think many people have already made up their minds, based purely on their assessment of President Obama’s performance. They either think he has done a good job in avoiding another Great Depression despite the obstructionism of his opponents or believe he has spent recklessly and put the country on the path to financial ruin. Even the most powerful political ads aren’t going to change their competing perceptions. Third, I think many people are still reserving judgment and want to see how things play out. They’ll be making two judgments in the coming months. First, is Mitt Romney up to the job? Can he handle the pressure and juggle the competing demands without meltdowns or gross missteps? If Romney passes that test, then they’ll think about whether President Obama has done a good job. Elections in which an incumbent is on the ballot are almost always referendums on the incumbent’s performance, and I think 2012 will be no different. Stripped of illusion and romantic hopes, undecided voters will consider whether the economy is improving in ways that affect their lives. Are family members and friends who have been out of work getting hired, or are other acquaintances getting laid off? They’ll look at gas prices, and unemployment statistics, and the stock market, and I think those indicators will tell the tale. If unemployment rates inch back up, and gas prices remain at or above $4 a gallon, President Obama will face a very tough road. Events in Syria are taking a turn for the worse. Every day brings a new report of a gruesome massacre of civilians by government forces, and efforts by the international community to arrange for a cease-fire have failed. Some have argued that America should take military action in Syria to stop the killing. Senator John McCain is one such voice. So far, however, the Obama Administration has resisted any military intervention, hoping instead that international pressure will eventually topple the Assad regime. I’m with the President on this one. The reports of cold-blooded civilian killings in Syria are heart-breaking, but America simply can’t take military action anywhere and everywhere that despotic governments are killing and mistreating their citizens. Military intervention should be reserved for what should be rare instances implicating our vital national interests. As tragic as events are in Syria, it’s hard to see how crucial American interests are at stake there. It sounds cold-blooded to talk of money at a time when innocents lives are being lost, but the United States also needs to consider its financial situation. The missiles, airplane fuel, ordinance, and military personnel that would be used in any Syrian intervention would cost money that we just don’t have right now. We need to start making choices as part of getting our fiscal house in order, both domestically and abroad. This is an instance where the choice should be to stay our hand. If there is to be military action in Syria, let it be led by the Arab League states. They should use their oil revenues to police their own neighborhood. This week marked the end of the Iraq war and I am in agreement with Bob’s post earlier this week that the president should not be touting this war as a foreign policy success. During the time prior to March 20, 2003 when we initially invaded Iraq we were told that this would be a quick war, that we would be greeted as liberators, that the war would be paid for in full by Iraq’s oil revenues, that Iraq had connections to al-Qaeda and that Saddam had weapons of mass destruction. What ended up happening was the war lasted almost ten years, we were considered occupiers by many in the Arab world, we ended up paying $2.7 trillion in conflict spending ($4.4 trillion if you add in obligations to wounded veterans and interest payments on the money we had to borrow to fund the war), there were no connections between Iraq and al-Qaeda and Saddam’s nuclear, chemical and biological weapons were discontinued in 1991. It’s not surprising that John McCain came out against the president’s decision to withdraw having said in the past that it was fine with him if we were in Iraq for one hundred years since we have been in Japan for sixty years and in South Korea for fifty years. It’s this kind of thinking that I voted against in 2008. Below is a brief exchange between Senator McCain and Secretary of Defense Leon Panetta about a month ago regarding the Iraqi withdrawal that shows a stark contrast between the current administration’s foreign policy and McCain’s had he become president. I particularly liked Panetta’s comment where he says “we need to stop telling independent nations what they need to do”. The Iraq War turned out to be a pig and putting lipstick on it just isn’t pretty.